Ragini plays a plan to get Shivay. She shows everyone that Shivay is her best friend. Shivay asks Ragini how is she feeling now. She says I m much better. Rudra asks her why does she not go her home. Ragini says I was leaving, but driver is not available. She asks Shivay if he could drop her. Shivay was busy cooking food along with Anika. Ragini disturbs them. Shivay agrees to drop Ragini. He goes with her. Everyone gets a video message. They all get angry. Shivay throws his phone. This was Ragini’s plan to influence Shivay. She says I did not know someone has made our video and trying to defame us. Anika uses her mind and asks Ragini how do people reach them, every time they go out. 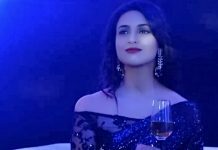 Ragini says I don’t know why people are defaming Shivay, I will talk to Siddharth, he has crossed the limits and sent the video to Shivay’s entire family, I will meet him and confront him. 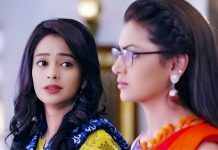 Anika asks Ragini how did you know we all got this same video, how does your boyfriend know about us. Ragini says I know him well, he is mad, he can do anything in anger and obsession, Shivay we have to stop him. She asks Shivay to help her. Ragini fakes the story to have Shivay on her side. Anika checks the video again to find any hint against Ragini.